ARROJO products & tools suit modern creative barbers & groomers. 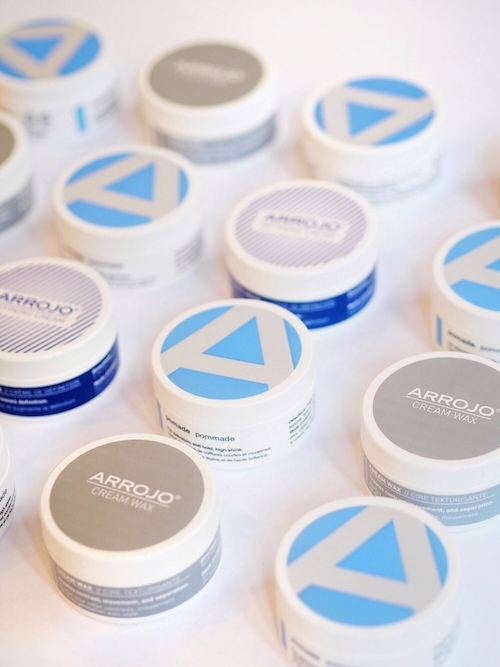 ARROJO NYC offers bespoke product packages to barbers and groomers. Our products offer the freedom to shape everything from classic military-inspired styles to modern textured looks. As a nimble indie brand we can tailor lucrative product packages to your needs. Find New Threads. Call 212 242 7786 x 215 or email valeria@arrojonyc.com. Daily Shampoo: Lightweight, vitamin-rich cleanser keeping hair clean, balanced, refreshed. Daily Conditioner: Weightless, vitamin-rich conditioner leaving hair smooth, light, shiny. ReNEW Co-Wash: Uses avocado & babassu oils for 2-in-1, suds-free cleanse-conditioning. Styling Creme: Builds volume, texture & hold for mid-length and longer men’s styles. Texture Paste: Great for short & messy styles. Creates texture, separation & matte finishes. Hair Gel: Non-sticky, firm hold gel with no flaky bits. Great for sleeking & sculpting. Cream Wax: Creates contrast, movement & separation with a low-glow matte finish. Pomade: Classic pomade for definition, hold & shine. Reduces frizz. Easy to rinse out. Defining Cream: For control, matte definition, body & texture. Great for a graphic finish. Fiber: Pliable fibrous paste creates bulk, texture & hold with a natural finish. 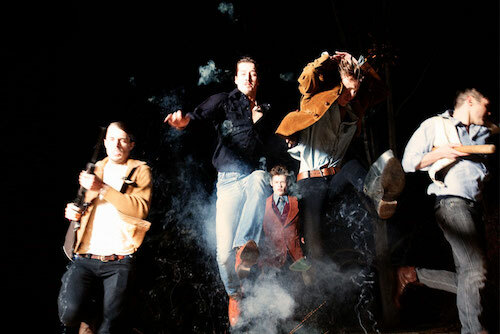 Gives style memory. Clay: Creates strong hold with surprising slip. Adds density, creating thicker-looking styles. Retail prices are between $20-25, making the products accessible in every marketplace. Pomade, Cream Wax, Defining Cream come in masculine pucks. When you choose to Carry ARROJO NYC benefits include earning Reward Dollars on orders & exclusive access to ARROJO NYC education seminars & shows. Reward Dollars can be used to pay for 100% of the cost of seminars like Classic Men’s Cutting at ARROJO Advanced Academy NYC; to pay for 100% of back-bar stock; to pay 50% of the cost of bringing ARROJO education to your location. A relationship with ARROJO NYC can also facilitate talented new hires for your business. ARROJO Barber Academy offers a contemporary & creative barber licensing program focused on modern trends & techniques that give our graduates a jump on the competition. As well as products, we also offer some of the best & most distinct tools on the market. Image from Control editorial by ARROJO NYC using ARROJO Product. Image from the Reservoir editorial by ARROJO NYC using ARROJO Product. Image from the Prohibition editorial by ARROJO NYC using ARROJO Product.